Zombie Cats: Gonna Eat muh CAKE! Zombie Cats don't just get their cake, they sit in that bad boy and do some pretty obscene things with the icing. 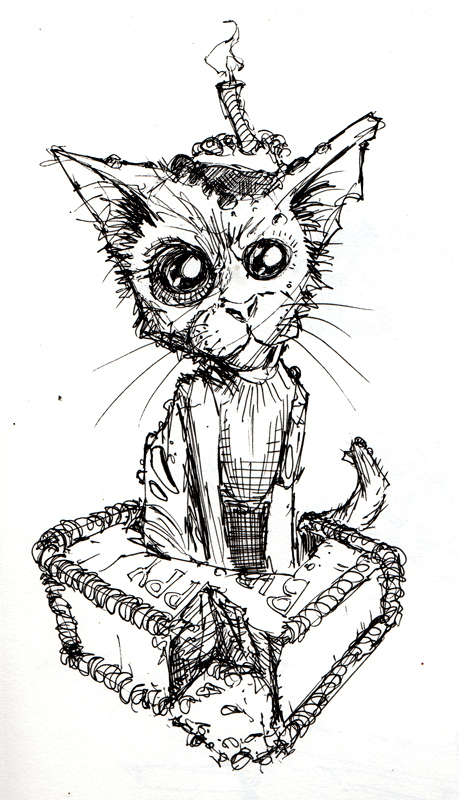 This Zombie Cat in the Cake first made an appearance over on patreon, but here it is for everyone to enjoy. 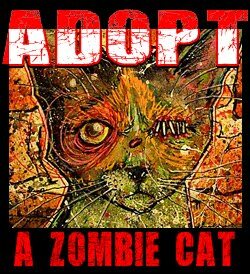 If you want, you can even print it out for your own birthday card ... wish yourself a happy birthday from the Zombie Cats.